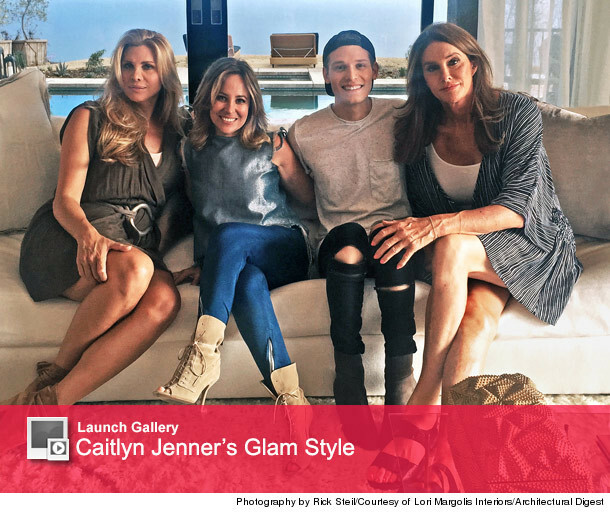 Caitlyn Jenner's Malibu abode was recently featured in Architectural Digest, and we're getting to see new photos of the "I Am Cait" star's pricey pad. While we've seen glimpses of Cait's house on her E! 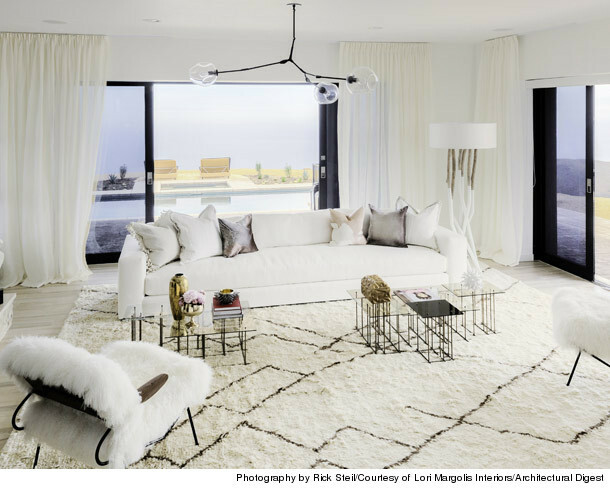 series, Jenner's interior designer, Lori Margolis, opened up about styling the Olympian's hillside home. Margolis says that the 65-year-old's favorite item in her house is her 12-foot-long living room sofa. The piece custom-made to accommodate Cait's tall stature and fit as many of her Kardashian/Jenner family members as possible. "Caitlyn always lived in beautiful houses, but designing them was Kris Jenner’s domain—Caitlyn wasn’t really involved," Lori tells the mag. "This time, she really wanted to put her personal stamp on the house." "Caitlyn has been making so many physical and emotional changes in the past year. She wanted her home to reflect not just her sense of style but her journey," Margolis explains. "She wanted something soft and feminine but also something that has strength." Speaking of Kris, the exes finally sat down together on the season finale of "I Am Cait," where the momager aired some of her grievances with Caitlyn since her transition. "It's very difficult to hear when you feel like you gave your whole life to somebody, that the sum of it all was: You were a 'distraction,' " she said, referring to Jenner's Vanity Fair interview. "So that killed me." Caitlyn later explained how she felt cut off and thought the family was overreacting to the interview, while Kris said she felt left behind and that Jenner was insensitive. At the end of their tense conversation, Kris and Cait decided to move forward and put their family first. They even shared a selfie and a kiss! What do you think about Jenner's Malibu pad? Sound off below and check out the gallery above to see more of Cait's best looks!